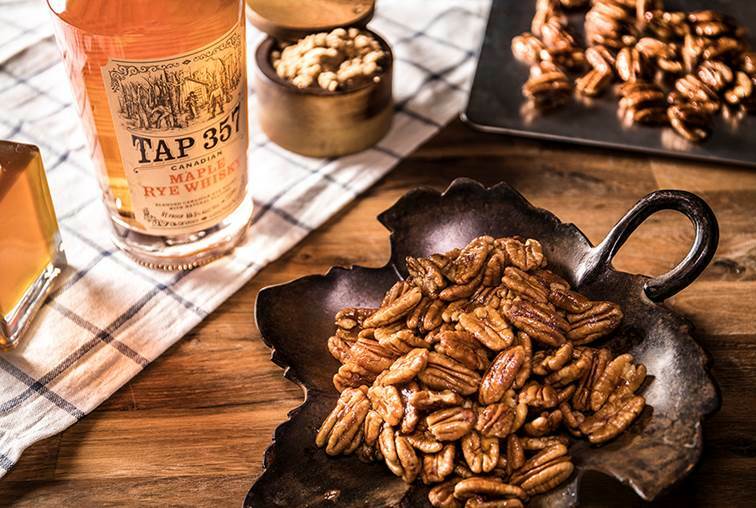 Whether you are starting to think about boozy Super Bowl snacks, Oscar party munchies, or Valentine’s Day treats, this Tap 357 Maple Whisky Pecan recipe is perfect for the whisky and maple-lovers in your life. And, it is incredibly easy and delicious to boot. Enjoy! Mix all ingredients in large bowl. Spread onto a baking sheet and bake for 1 hour at 250 degrees, stirring the pecans every 20 minutes.